Migraines: What’s Available to Cope with the Pain? Visual disturbances — flashing lights, blind spots, etc. Researchers have found that there is a genetic component related to the development of migraines. If your parents had migraines, this puts you at greater risk of developing them as well. Studies have also shown a number of other factors that are involved, including the person’s environment. Due to the use of neuroimaging combined with extensive research, scientists have learned a great deal about migraines in the last decade. There was a time when migraine pain was considered to be a figment of the imagination because scientists could not find a reason that the brain should feel any pain. A few theories popped up. For example, the sinuses were considered a cause, and then later it was believed that the dilation and constriction of blood vessels in the head were the main cause of migraines. Currently, the conclusion is that migraines are neurological in origin and that they are linked to specific brain chemicals and nerve pathways as well as the central nervous system. It’s not the brain that is feeling pain, but the pain originates from nerve fibers and blood vessels located around the brain. This is why increases of pain happen when blood vessels become inflamed. Somewhere around 39 million Americans — men, women, and children — get migraines. However, women are the majority with a propensity that is 3 times higher than men. Most migraines sufferers have episodes less than 15 days out of the month, which are considered episodic migraines. Four percent of migraine sufferers are considered to have a chronic condition, they spend over 15 days of the month with migraines. Prior to puberty, the gender rule flips and boys are more prone than girls to suffer from migraines. However, once the girl’s hormones come into play, the previously stated statistic becomes true, and women take the lead in migraine attacks. To learn more about the connection between head and neck injuries and migraine download our complimentary e-book by clicking the image below. Many people spend years trying to identify their personal triggers, since triggers are unique for each individual. 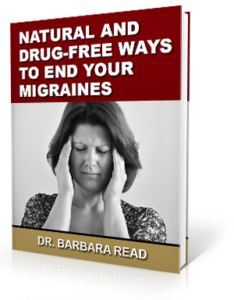 A commonly recommended method of doing this is by keeping a migraine diary, getting examined by headache specialists, neurologists, general chiropractors, and trying different lifestyle modifications. For some, it can feel rather overwhelming as they try different kinds of care options, hoping for relief but without much to show for it. We’re going to discuss some of these care options, and then share a natural, effective way to treat migraines. What Is Available for Migraine Treatment? Nowadays there are more ways to care for migraines than ever before. With the many new kinds of drugs being developed, natural remedies, and home remedies, it may be difficult to decide which one is your best choice. First-step medication: When migraines are mild to moderate, commonly an over-the-counter medication, such as Tylenol, aspirin, and ibuprofen or a combination of these is enough. When these aren’t effective, triptans, a type of medication that stabilizes inflamed and swollen blood vessels, are usually prescribed. For heart patients, they need to be careful with this drug. Another potential risk to be aware of is medication overuse that can cause headaches to develop, worsening your migraines. Daily drugs: These are meant to prevent migraine onset. These drugs were originally developed to help with other health conditions but were found to be effective for migraine use. However, some of the side effects can be dangerous or just plain undesirable. Wrinkle–free injections: Recently approved by the FDA for treating chronic migraines, Botox has become the latest fad treatment. The way that it works is that it freezes the muscles in the head and halts the sending of pain messages to the brain. Just like with any drug, there are still reasons for concern and risks to consider. The do’s and don’ts diet: A neurologist at John’s Hopkins, David Buchholz, developed this plan. An upper cervical chiropractor and researcher, Dr. Erin Elster, did a case study on a 35-year-old female figure skater who had developed migraines following an accident at the age of 23. She went through 12 years of medication with very little relief. Upon receiving upper cervical chiropractic care, her migraines went away in only 3 months. One year later, she reported that the migraines had not returned. In this same study there were reports by hundreds of others with similar results. Here at Read Health Center in Ames, Iowa, we gladly provide an alternative to medications for our patients. There is much research showing that misalignments in the upper cervical spine, specifically the C1 and C2 vertebrae, put stress on the brainstem, a vital part of the central nervous system. This can result in improper signals being sent to the brain as well as inhibition of the flow of vital fluids, blood and cerebrospinal fluid, from reaching or leaving the brain. All of this can lead to migraines. The method we use is very gentle, never requiring us to crack or twist the spine like traditional chiropractors do. Instead we encourage the bones to return to place gently. By focusing on the upper neck and relieving the issues there, the whole spine is positively affected. After our adjustments, we often receive reports of similarly impressive results as those in the above-mentioned study, as our patients experience relief and healing. 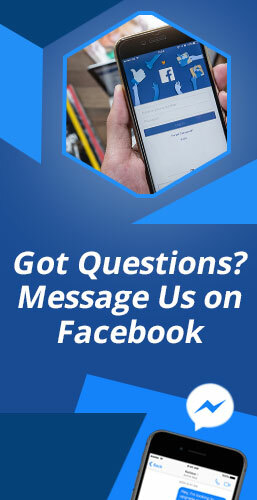 If this sounds like a great option for you, feel free to contact our office so we can answer any questions you may have and determine how we can best serve your unique needs.